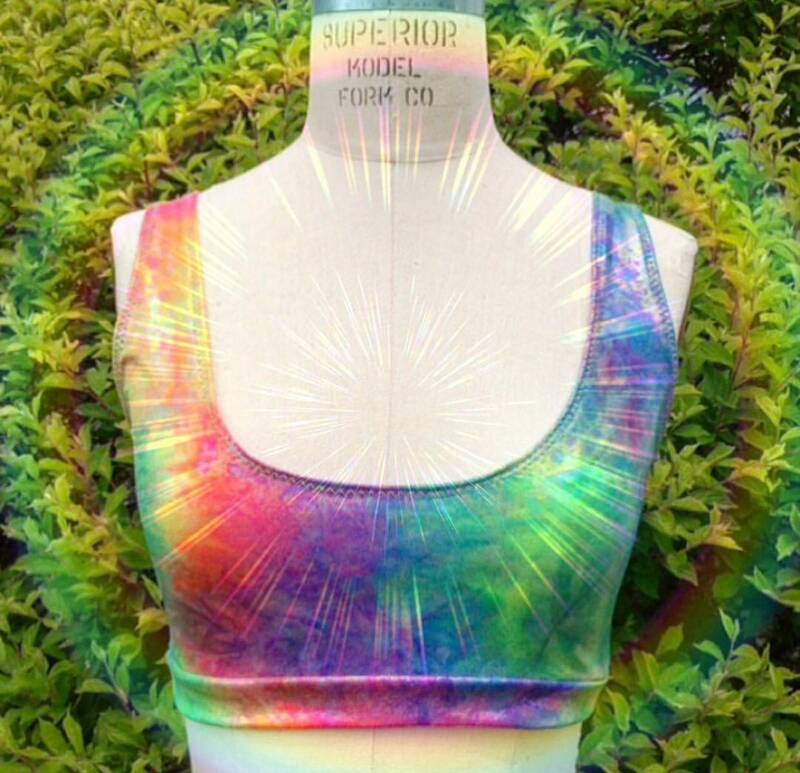 This sporty bralette top is perfect for the pool, beach, rave, festival or working out! 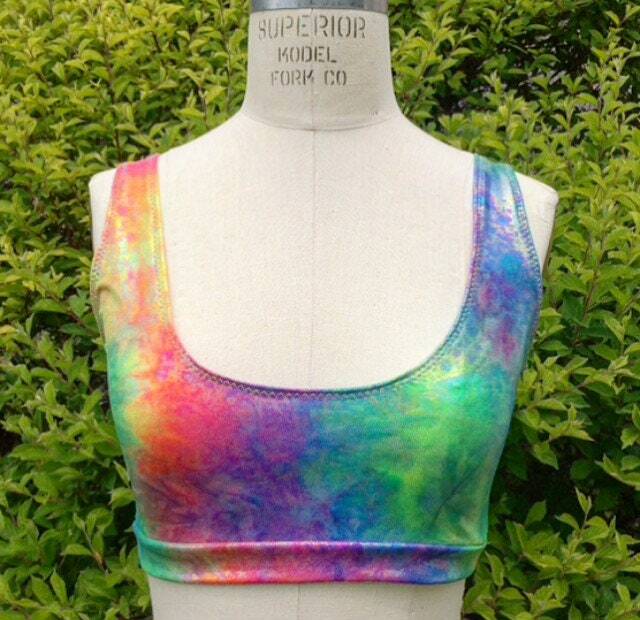 It’s quick drying and will keep you cool and comfortable at the pool or a festival! The iridescent oil slick finish is beautiful in the sun. 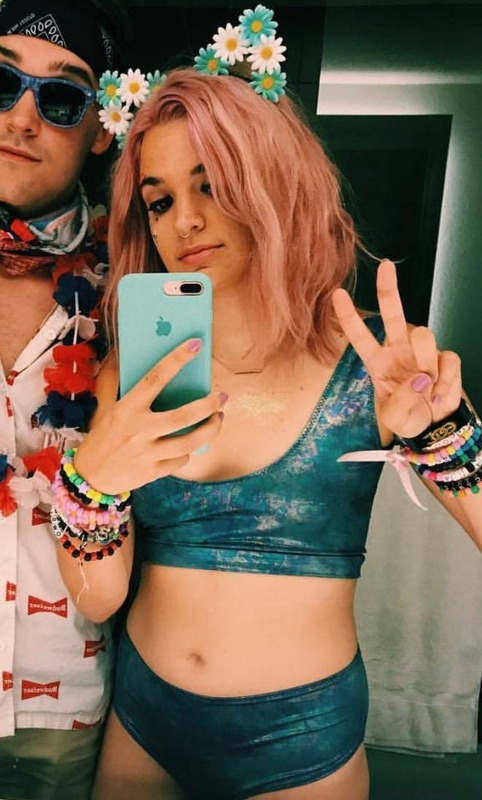 Want it in another color? Send a message asking for a custom order! These fabrics have a high amount of spandex and stretch, so their is some flexibility in the sizing!